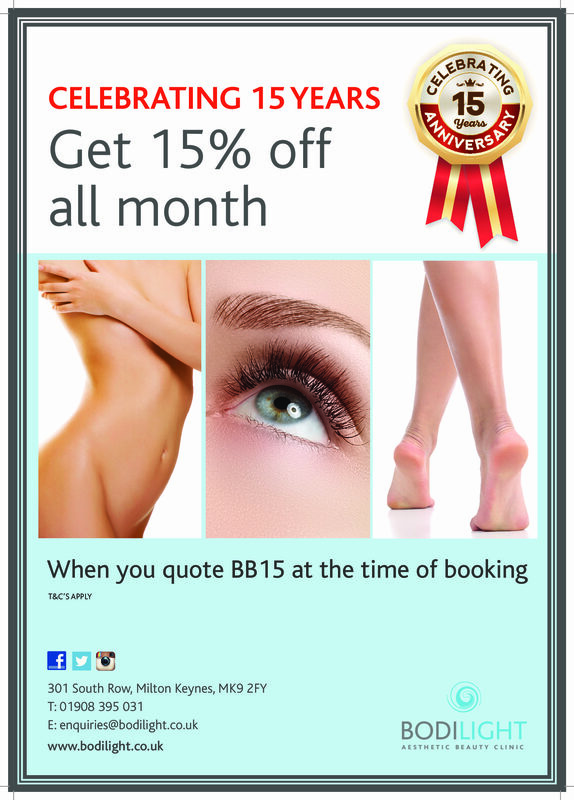 Don’t miss out on this month’s fantastic offer! We continue to strive to bring you a different offer each month, so be sure to check out this page or call the clinic to hear about our latest deal. Wowzers 15 Years!, where has the time gone? Barely feels five minutes, has it really been that long? But the biggest is you, you are simply the best. Whether you are new to the clinic or you visit frequent. Also: save 50% OFF Laser Hair Removal on all new areas on the first treatment, 20% off a treatment course. Don’t forget to book your Mothers Day Gift. Purchase a £50 Voucher and receive a FREE Bouquet of flowers. Don’t forget to mention this offer at the time of booking. Call us on 01908 395 031 to find what else we have in store this month!